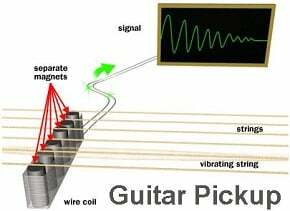 Electric guitar pickups are a touchy and subjective topic. Most long-time players have gone through a number of different types before they work out what is the best sound for them. Sometimes they will even prefer different styles or brands of pickups for different applications. 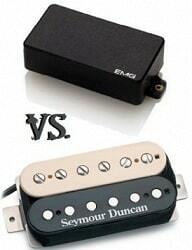 Today, we are doing a flyover comparison of two of the most popular makes of pickups on the market, EMG and Seymour Duncan, which is really a comparison of active, or powered pickups, and passive, traditional units. These are the two basic flavors that pickups come in and provide vastly different sounds when deployed. 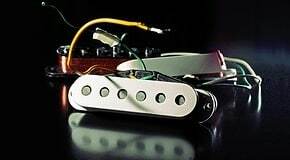 Most Seymour Duncan pickups are old-style passive pickups, meaning they are mostly magnets wrapped in wire. They work as pickups have worked since the dawn of time and give many variations on the guitar sounds we are all used to. Users will find normal and hum-cancelling single coils and different models of humbuckers with varying output levels and tonalities, but they will all be more similar to traditional pickups than they are different. Duncan does make actives, the Blackout series, which are gaining in popularity, but the Duncan company was built on passives and that is what the firm is still best known for. They are a good choice for players seeking enhanced versions of conventional pickup designs. EMG makes what are likely to be the most widely used active guitar pickups on the market. 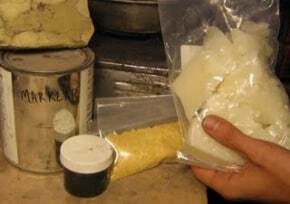 Installing EMGs in an instrument requires installing a whole pickup system, which includes pots, an output jack, and a nine-volt battery, in addition to the pickups themselves. Actives allow users to also add things such as mid-boosts, active phase reversals, gain boosts, and more, which are all run off the on-board battery. EMG pickups are most popular with players seeking a more modern sound and more tonal options than can be had with passive pickups. Their classic combination is an 81 and 85 model installed in a Les Paul or other ‘bucker-based axe and this pairing remains very popular, especially in rock and metal circles. So which guitar pickups should you choose? Only you can answer that question. Shoppers need to consider what type of music they play, their type of instrument, and what they want to get out of a pickup swap. If Stevie Ray is your tone god, stay passive all the way to Texas. If all you hear is Metallica, go active and make it happen. What all pickups buyers really need to do is play guitars with different styles of pickups and taste-test them for themselves, as this sort of thing is very individualized and what your guitar hero likes and uses may not feel or sound good to you in your personal guitar. Once a player has experienced for themselves what these different pickups can do, they will be in a better position to choose the right brand and model for their needs.